PhotoScissors bir fotoģrafta bir insan ya da bir nesneyi kesip diģer ßeyler yerle§tirirken gùnùnùzù ve zamanìnìzì iyi kullanmanìzì saģlayan bir programdìr. PhotoScissors bir fotoģrafta bir insan ya da bir nesneyi kesip diģer ßeyler yerle§tirirken gùnùnùzù ve zamanìnìzì iyi kullanmanìzì saģlayan bir programdìr. Bunun için òzel bir beceriye de sahip olmanìz gerekmez. Programìn kißisel lisansìnì(with support and updates) % 50 indirim ile satìn alìn. Instantly Remove Background From Your P hotos Online! Remove undesirable objects from still images, such as logos, watermarks, power lines, people, text or any other undesired artifacts. There's no need to manually go throu gh messing around with your old clone tool any more! Purchase Personal license (with support and updates) with 50% discount! iResizer scales an image without changing important visual co ntent such as people, buildings, animals, etc. iResizer lets you shrink or enlarge images to improve a composition, fit a layout, or change the orientation. Purchase Personal license (with support and updates) with 50% discount! PhotoStitcher will automatically combine overlapping photos to produce perfect panoramic image. You just snap some overlapping images and click Stitch button. PhotoStitche r is a fully automatic image stitcher. Purchase Personal license (with support and updates) with 50% discount! Don't you know how to change standard yellow folder to a co lourful and bright? With FolderIco, give some color to Windows folders. With just a one click, colorize your folders, and discover a new intuitive way to classify your files. Purchase Personal license (with support and updates) with 50% discount! Kudos to Maxim Gapchenko and his team for a Gold Standard giveaway procedure: I timed it from start to finish at under 4 minutes -- an example to many another developer on how to do it. . . properly. In my case, because I have no interest in 'social media', I used the link in the 'Download Now' panel on this page to provide an email address. GOTD's email with the software download link arrived within 30 seconds. After that, I downloaded the install package, unzipped it to a separate folder, installed the software and closed it, then re-opened the install folder and hit activate.exe. I then installed a shortcut (I may have missed that during the install.) Job done. As to the software: I already have version 3.0 and have been satisfied with its performance. It is not, nor does it pretend to be, a top-line editor; if you want that, then be prepared to pay a high price. For handling relatively straightforward backgrounds, however, it's as good as anything else on the market and actually superior to several rivals. I look forward to exploring version 4 later today when I've the time to do so, but wanted to post here a particular note of thanks to GOTD and Teorex for the way this giveaway has been constructed: no email address harvesting; no jumping through hoops to get from one website page to another; and no requests for personal information. Kudos to Maxim Gapchenko and his team for a Gold Standard giveaway procedure: I timed it from start to finish at under 4 minutes -- an example to many another developer on how to do it. . . <i>properly.</i> In my case, because I have no interest in 'social media', I used the link in the 'Download Now' panel on this page to provide an email address. GOTD's email with the software download link arrived within 30 seconds. After that, I downloaded the install package, unzipped it to a separate folder, installed the software and closed it, then re-opened the install folder and hit activate.exe. I then installed a shortcut (I may have missed that during the install.) Job done. As there so often seem to be some GOTD users who get confused over install and activate routines, please note that you should: <b>UNCHECK</b> the box that appears at the conclusion of the install. Do <b>NOT</b> allow the software to launch. Hit the Activate executable <b>BEFORE</b> PhotoScissors runs. (Simple , I know, but it's all too easy to overlook that pre-checked box.) As to the software: I already have version 3.0 and have been satisfied with its performance. It is not, nor does it pretend to be, a top-line editor; if you want that, then be prepared to pay a high price. For handling relatively straightforward backgrounds, however, it's as good as anything else on the market and actually superior to several rivals. I look forward to exploring version 4 later today when I've the time to do so, but wanted to post here a particular note of thanks to GOTD and Teorex for the way this giveaway has been constructed: no email address harvesting; no jumping through hoops to get from one website page to another; and no requests for personal information. Recommended. Install and register went fine. This is like so many cutout programs in that you paint what you want to save with (green) and what is to be removed with (red.) The difference is that it works just fine. You can adjust for your shaky mouse hand. The best feature, you can see what you will get as you paint foreground and background. Supports drag and drop which isn't always found in these sorts of programs. I haven't tried ALL the similar programs, but this works better than three other GOTD cut out programs that I have installed. As another comment reads, high-end raster programs (Adobe/Corel) remove backgrounds much much better. At a cost of $$$ and time. This one works great for quicky projects. For that matter, it's a great head start for those high-end programs. Install and register went fine. This is like so many cutout programs in that you paint what you want to save with (green) and what is to be removed with (red.) The difference is that it works just fine. You can adjust for your shaky mouse hand. The best feature, you can see what you will get as you paint foreground and background. Supports drag and drop which isn't always found in these sorts of programs. I haven't tried ALL the similar programs, but this works better than three other GOTD cut out programs that I have installed. As another comment reads, high-end raster programs (Adobe/Corel) remove backgrounds much much better. At a cost of $$$ and time. This one works great for quicky projects. For that matter, it's a great head start for those high-end programs. If you get into image editing you're going to work at making selections or masks, not just for cutting or moving things but to isolate areas to apply FX, or the opposite, prevent selected areas from being effected by FX & such. 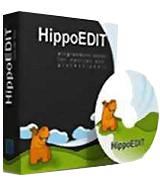 And making selections you soon learn can be a bit of a PITA, so much so that there are quite a few apps &/or plug-ins just for selections, while one of the areas where image editing apps compete is with their included masking or selection tools. Adobe recently added AI to making selections / masks in P/Shop CC [subscription only]. With PhotoScissors TeoreX applies their somewhat unique algorithms to making selection / masks, which work basically by analyzing & identifying different objects & areas of the image, vs. the more traditional approach of primarily looking for edges of different colors. Mileage varies a bit with the image you use & what you select in that image, & there are times no doubt where the results you get from PhotoScissors are better as a starting point than a final selection -- if nothing else a more full featured image editor should let you feather, possibly shrink by a pixel or two, possibly smooth, & possibly remove halos from, the selection, which may well be worthwhile. For those times & others what's sorely missing is the capability to use PhotoScissors as a plug-in -- my guess is that TeoreX could pay for the extra development efforts by offering a higher priced version that included a plug-in. For now however, importing a .png with transparency [alpha channel] from PhotoScissors into your choice of image editor will have to do, using it to create the selection / mask you need [how you do that depends on the image editing app you use]. And yes, it can be worth the extra effort. DO check out the tutorials on the PhotoScissors site for things like masking hair & dealing with object transparency. FWIW, just selecting hair itself is the purpose of several tools / plug-ins, & the subject of numerous on-line tutorials -- if PhotoScissors works for you in this respect just once that could be worth the price of admission. 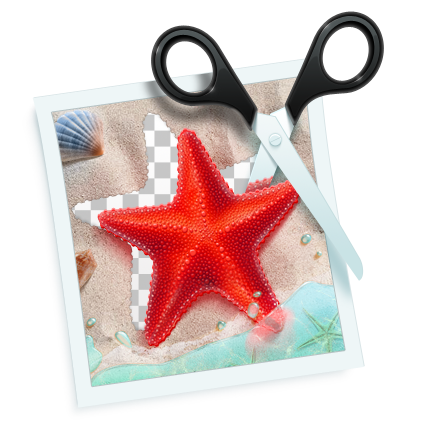 PhotoScissors itself, like other TeoreX apps is a one file program. As krypteller wrote, it uses a single key in the registry. FWIW I install it in a VM, copying that single program file + the registry key to my regular copy of Windows -- it admitedly only saves a very little bit of bloat from the HDD & registry, but it's habit. That single file can be stored wherever you like, so having multiple versions is easily doable, but there's only the one registry key, which is the same regardless the version. That means the new serial number will overwrite the old -- fortunately in the few cases I've tried the new number works with the old versions too, but this is something you'd have to test yourself, as I haven't tried it with every TeoreX app & version. If you want to make sure you can go back to an older version of a TeoreX app, just to be safe use Windows Regedit to save the old serial number you'll find under [HKEY_CURRENT_USER\Software\Teorex]. Installed just fine on Win 10, but it's not at all obvious how to work with it. I'm going to need to spend some time with the documentation -- if there is any. Check the tutorials at the PhotoScissors site. Robert, Check the tutorials at the PhotoScissors site. The alpha matting is a definite improvement over previous versions. I’ve tested it with 4 difficult pictures, and overall it performed admirably. The $ 19.99 is a fair price and today for free, it’s a keeper. Well done!